We’re big fans of Vincent Price here on the Really Awful Movies Podcast and if you haven’t checked out Jeff’s interview with Vincent’s daughter Victoria, you owe it to yourself to do so as she talks about the legacy of her famous pops. 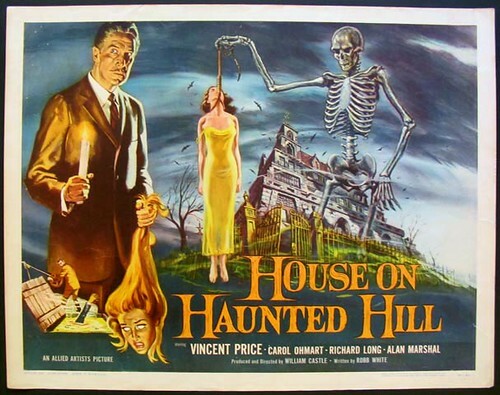 Here we examine the Price classic, House on Haunted Hill. Many horror fans (and movie fans in general) are reluctant to delve into the past as they see anything made before 1996 as “old.” But, as the cliche goes, if you don’t know where you’ve been, you won’t know where you’re going. Viewers will be rewarded by checking out the fun, campy and effortlessly spirited House on Haunted Hill. It’s a straightforward haunted house tale: an eccentric millionaire dares a group of disparate characters to spend a night in a house with a ghostly past, with the promise of a reward if they’re able to. Can they survive the night? Welcome to The House on Haunted Hill: Hope you enjoy your stay! 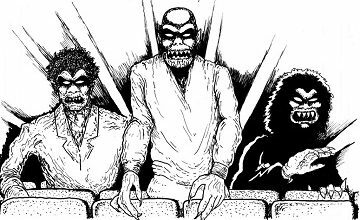 And be sure and check out episodes of the Really Awful Movies Podcast, where we delve into horror and genre films from the past to the present. Subscribe now!